Dr Ellen Swift, Reader in Archaeology and Dr Jo Stoner, Research Associate, both in the Department of Classical and Archaeological Studies, have worked together with Dr April Pudsey (Manchester Metropolitan University) to organise a forthcoming exhibition at the UCL Petrie Museum of Egyptian Archaeology in London, as part of their AHRC-funded research project Roman and Late Antique Artefacts in Egypt. Their exhibition, ‘Sounds of Roman Egypt’, is free entry and showcases the project’s research into the musical instruments from the Petrie Museum’s Roman collection, exploring what life in Roman Egypt sounded like. What objects did people use to make music? What did they sound like? How were instruments used in Romano-Egyptian rituals, homes, and childhood? This exhibition begins to answer these questions, bringing to life the soundscape of Egypt during the Roman period. Visitors will see original Roman instruments displayed alongside the project’s modern replicas, and learn about how they were used in the Roman period. 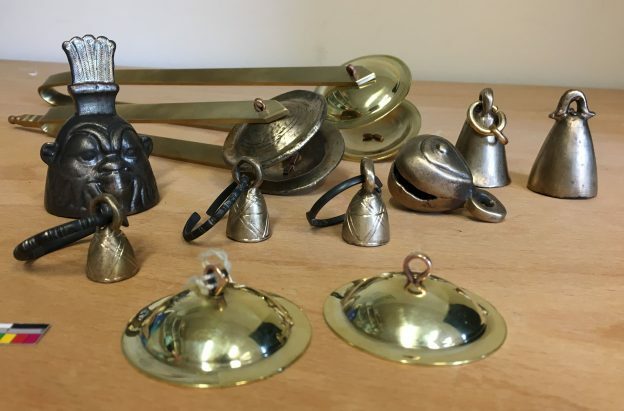 Visitors will be able to experience the sounds of the artefacts, handle and play the replica items, with additional sound recordings providing an evocative illustration of the sounds of Roman Egyptian life. The display also explains the process of using modern technologies to recreate ancient artefacts. Archaeology technician Lloyd Bosworth laser scanned the original instruments to create 3D digital models which will be on display, along with the 3D printed models. Thanks are also due to Lloyd for his work developing the exhibition’s visitor computer interface. The exhibition will be open to the public from Tuesday 22 January – Monday 22 April 2019. This entry was posted in Campus online, Student Guide on 5 December 2018 by Wendy Raeside.